January 7, 1972 - A man and woman successfully hijacked a B-727 from San Francisco, CA to Cuba. January 7, 1972 - A Braniff B-727 was hijacked as it departed Houston, TX for Dallas. The lone armed hijacker allowed all 94 passengers to deplane at Dallas Love Field, but continued to hold the 7 crew members hostage, demanding to fly to South America and asking for $2 Million, parachutes, and jungle survival gear. After a 6-hour standoff, the entire crew secretly fled while the hijacker was distracted examining the contents of a package delivered by Dallas police who stormed the jet, and arrested the hijacker without serious incident. January 28, 1972 - TWA Flight #2 from Los Angeles to New York, was hijacked by a con man and bank robber while over Chicago. He demanded $306,800 in cash (for his loss in a recent court case). He also requested the release of Angela Davis and another friend in prison, and clemency from President Nixon. The FBI was able to retake the aircraft during a crew change at JFK, and the hijacker was shot and wounded. No one else was hurt. March 7-8, 1972 - Following labor disputes at TWA, a man organized an extortion plot against the airline and warned that four bombs had been planted aboard TWA jets and would go off over an 18-hour period. However he said he would provide the bomb's locations if paid $2. Million. The first bomb, aboard a B-707, leaving New York for Los Angeles, returned and a bomb was diffused in a briefcase in the cockpit, just 12 minutes before detonation. The next day a bomb exploded on a TWA B-707 parked at Las Vegas - no one was on the jet, which had just arrived from New York seven hours earlier. 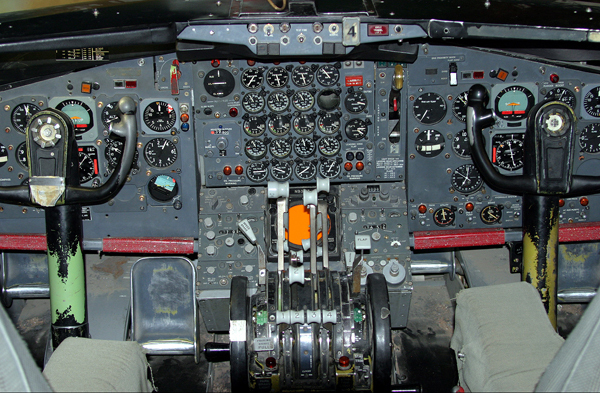 The jet was searched before departure, but someone managed to sneak a bomb in to the aft portion of the cockpit or the forward lavatory. The B-707 was a total loss. TWA never paid the ransom. The extortionist was never heard from again. April 14, 1972 - The First Lockheed TriStar L-1011 (400 passengers) three-engine, wide-body, medium-to-long range airliner was type-certified by the FAA. Eastern Air Lines inaugurated scheduled L-1011 service with a flight from Miami to New York. Eastern Air Lines nicknamed the L-1011 as the "WhisperLiner". The main visible difference between the TriStar and the Douglas DC-10 is the middle/tail engine. 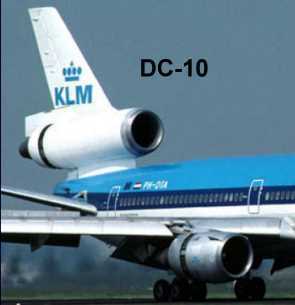 The DC-10's engine is mounted above the fuselage for simplicity of design and more economical construction. The TriStar's engine is mounted to the rear fuselage and fed through an S-duct (similar to the B-727) for reduced drag and easier replacement. 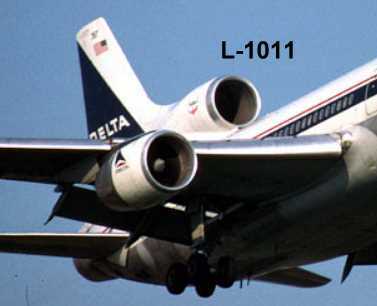 The L-1011 was manufactured in Lockheed facilities in Burbank and Palmdale, California and faced brisk competition with the B-747 and the DC-10 which it closely resembled. Sales of the L-1011 were hampered by two years of delays due to developmental and financial problems at Rolls-Royce, the sole manufacturer of the TriStar's engines. Delta Air Lines was the TriStar's largest customer, and Cathay Pacific acquired over 20 L-1011's when Eastern Air Lines went bankrupt. Lockheed no longer competed against Boeing and McDonnell Douglas in the commercial transport field. However, Lockheed is still a major producer of military aircraft. 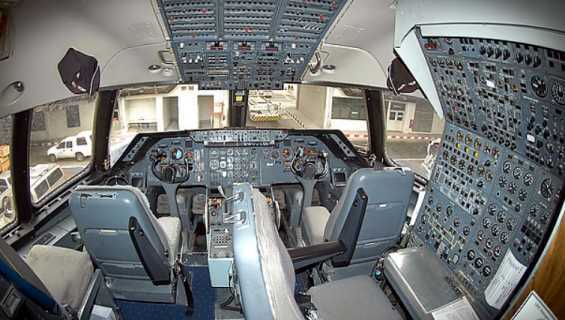 The National Airline History Museum in Kansas City, MO has an L-1011 in its permanent collection. 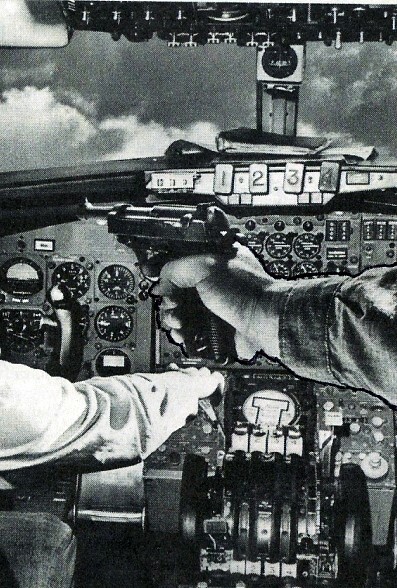 May 4-6, 1972 - A man successfully hijacked a B-737 from Salt Lake City to Los Angeles to Cuba. May 16, 1972 - President Nixon signed into law the Air Traffic Controllers Career Program Act (An outgrowth of a Corson Committee recommendation). The new law authorized controllers to retire after 25 years of active duty, or at age 50 if they had 20 years of active service. It also established a mandatory age for retirement at 56, with exemptions up to age 61. The Act also provided for a "second career program" of up to two years of training, at government expense, for controllers who had to leave traffic control work because of medical or proficiency disqualification. May 30, 1972 - Greater Southwest International Airport - Ft. Worth, Texas. While conducting a training flight a Delta Airlines McDonnell Douglas DC-9 began to oscillate about the roll axis after crossing the runway threshold during a landing approach, then rolled rapidly to the right and struck the runway with the right wing low. The flight's crash has been attributed to wake turbulence behind a McDonnell Douglas DC-10 that made a touch-and-go landing ahead of it. The FAA promptly implemented new changes to the minimum distance that aircraft must maintain when following 'heavy' aircraft. from Los Angeles to Seattle was skyjacked by Ex-Black Panthers: Willie Roger Holder, (African-American Vietnam veteran) and his white, stripper, girlfriend (masseuse and small-time drug dealer) Catherine Marie Kerkow. The skyjacker commandeered the B-727 when he claimed he had a bomb in an attaché case and demanded $500,000, and a longer-range jet in San Francisco. Stewardess Gina Cutcher was confronted by the passenger from 18D, a handsome black man in a crispy pressed Army Captain's uniform with several ribbons. Skyjacker Willie Holder gave her two 3x5 cards and said "read this". The first card was a poorly handwritten list of instructions for the crew. 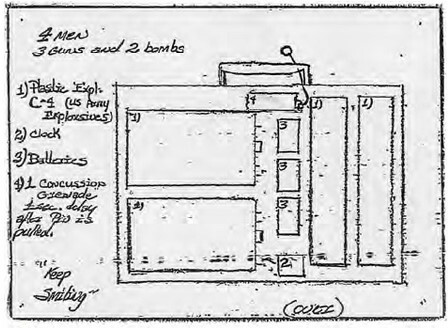 The 2nd Card was a drawing of what appeared to be a briefcase and writing to the left describing U.S. Army plastic explosives; a clock, batteries, and a concussion hand grenade with a 1-second delay after the pin is pulled. Crutcher was told to take the notes to the cockpit, and that she had just two minutes. Captain Jerome Juergens gave the notes to his co-pilot, Edward Richardson, and calmly told Cutcher: "Go back and tell this man we'll comply with anything he wants us to do." 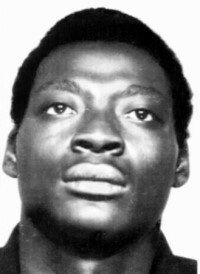 Skyjacker Willie Holder 24, demanded, in addition to $500,000 in cash and a longer-range jet in San Francisco, the release of black militant Angela Davis, an American political activist, scholar and author. A national prominent activist and radical in the 1960s, Angela was a leader of the Communist Party USA, and had close relations with the Black Panther Party. She was a candidate twice for Vice President on the Communist Party USA ticket during the 1980s. 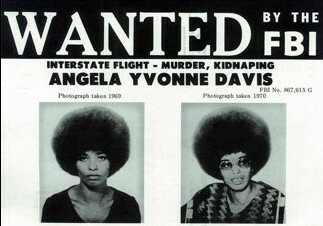 Willie Holder originally demanded the release of Angela Davis, but made no mention of that demand as the hijacking progressed. and fell apart, was court-martialed, imprisoned and demoted. ...Arriving in San Francisco, when the Skyjackers received the $500,000 and a four-engine Western Airlines Boeing-720 jet, they released 40 of the 98 passengers and crew of 7. After 20 hours, Western Airlines Flight #701 from Los Angeles to San Francisco to New York City, finally landed in Algiers, Algeria. A USA Federal Grand Jury indicted Willie Roger Holder and Catherine Marie Kerkow on charges of air piracy and kidnapping. The penalty for each count is 20 years in prison and a $20,000 fine. 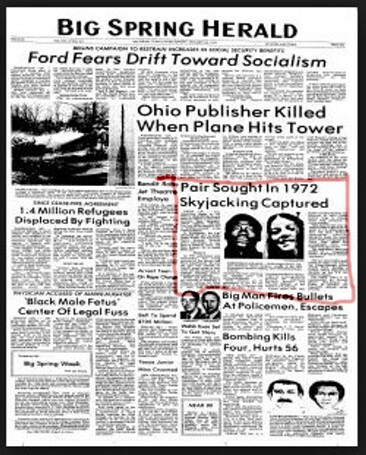 Skyjackers Willie Holder and Cathy Kerkow were taken into custody by the Algerians, who also returned all but about $20,000. 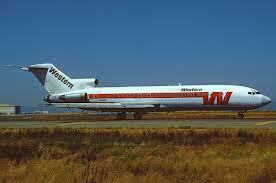 of the ransom money to Western Airlines. 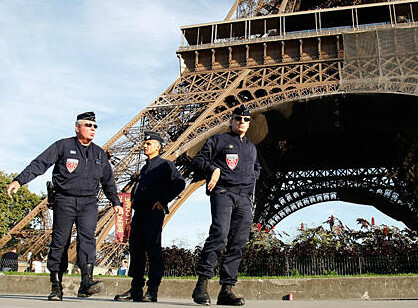 Algeria granted the skyjackers political asylum. 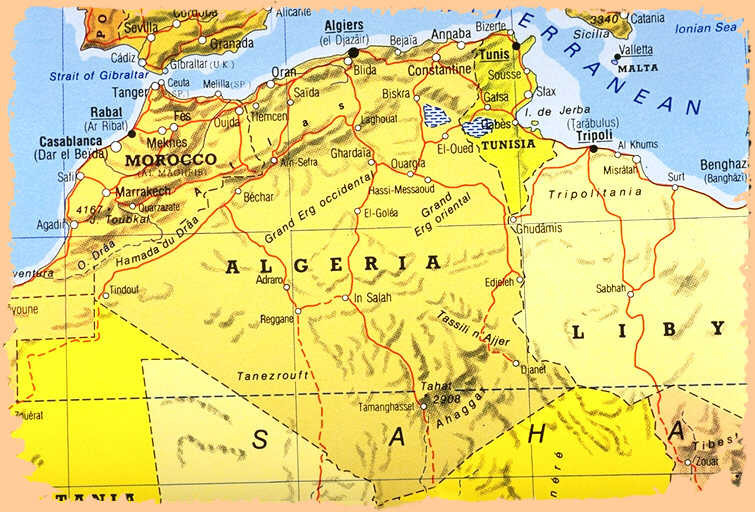 However, a request for extradition was denied as the government of Algeria allowed them to stay. 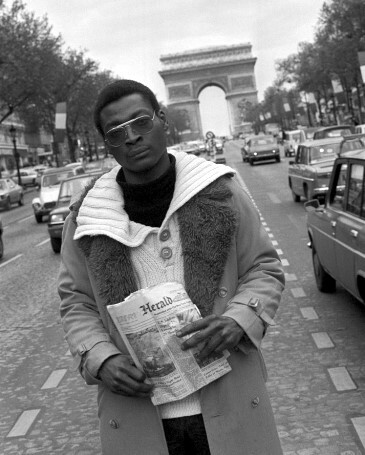 Three months later Skyjacker Willie Holder was proclaimed the leader of a small band of Black Panthers exiled in Algeria. ...Paris, France, January 1975 - Skyjackers Holder and Kerkow, according to passports retrieved by French police, had made several trips to France, but this time they had a problem with the law, and were arrested. 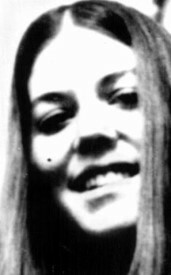 In Washington, the FBI identified the pair as Willie Roger Holder and Catherine Marie Kerkow. An FBI spokesman said extradition was being pressed by the Justice and State Departments. He said the pair was indicted by Federal Grand Juries in New York and San Francisco on charges including air piracy, kidnapping and extortion. 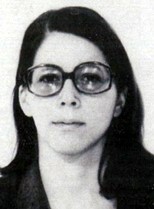 Mr. Holder and Ms. Kerkow were arrested in France in 1975. He was tried in Paris in 1980 on air piracy charges, the first person ever to face a French court for having hijacked an airliner abroad. Found guilty, he was let go with a suspended five-year prison sentence. While in Paris, they were supported by the French intellectual establishment, and treated as national celebrities. However Holder experienced bouts of paranoia and anxiety and spent time in a Marxist Psychiatric Institute outside of Paris. In 1984 he met and married "a six-time divorcee, 12 years his senior" who was paralyzed on one side of her body. Ms. Kerkow became a part of the Parisian creative elite, became fluent in French, and enjoyed life with a series of wealthy boyfriends before vanishing forever one night in 1978. An Air France flight brought Willie Holder, now 38 years old, back to the United States. 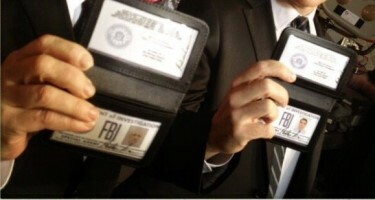 He was escorted by French security officers who turned him over to agents of the Federal Bureau of Investigation. Willie Holder was held at the Metropolitan Correctional Center pending arraignment in Federal Court in Brooklyn. He served 3 years in detention before he was transferred to a halfway house in San Diego, CA. ...Fast forward to 1991 in San Diego - Willie Holder was arrested again in an alleged plot to hijack another passenger jet with the use of plastic explosives. 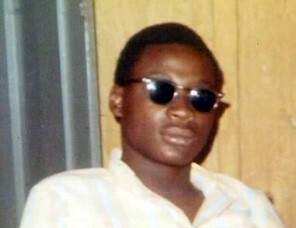 Now 42, and unemployed, Willie was arrested in an apartment that he shared with his wife and brother. Although he was under investigation for planning another hijacking, Holder was instead charged with violating his federal parole. Holder allegedly asked an undercover agent from the California Bureau of Organized Crime and Criminal intelligence to help him obtain C-4 plastic explosives and various firearms and ammunition. He was introduced to the agent by an informant, and intended to hijack a passenger jet at San Diego's Lindbergh Field and demand "millions in ransom." Federal prosecutors in New York, where Holder had earlier pleaded guilty to charges of air piracy, were undecided whether or not to pursue charges connected to the alleged hijacking plot. On February 6, 2012, Willie Roger Holder died of a burst aneurysm. PFC US ARMY VIETNAM was buried in Fort Rosencrans National Cemetery in San Diego, California. She probably changed her lifestyle and may still be in France or possibly Switzerland. 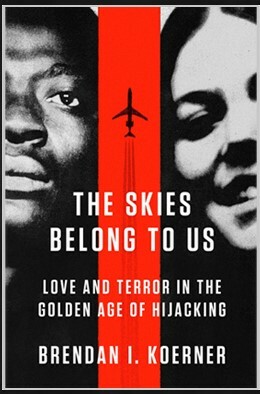 "The Skies Belong to Us" Love and Terror in the Golden Age of Hijacking - New book © 2013. 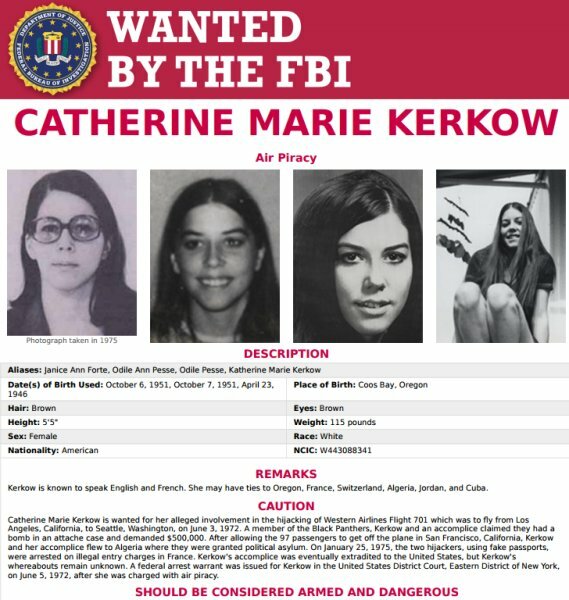 Author Brendan I. Koerner writes the yarn about this 1972 hijacking, after several years of research and reviewing many documents and records including FBI files. Flying was a different world back then, in 1972. No X-Ray machines, no metal detectors, no TSA personnel, no inconveniences. You could smoke on the planes, and some airlines even allowed you to buy your tickets after takeoff. Skyjackers took advantage of this lack of security, and were often disgruntled veterans, compulsive gamblers, bankrupt businessmen, career felons, and Cubans wanting to go back to Havana. In most cases, they demanded are received ransoms and wanted fresh starts someplace else.